A few weeks ago, we received an inquiry from Charles Argento for Business Professional Photos for an upcoming ad campaign. Charles has fought for his clients in Texas since being admitted to the Texas bar in 1988 and specializes in accidents, malpractice and general liability cases. His aggressive approach has yielded many above average awards for his clients. His courtroom success garnered an “AV” rating by the Martindale-Hubbell Law Directory. This is the highest rating for legal ability and ethical standards. Among the millions of practicing attorneys worldwide, the “AV” rating is awarded to less than 5% of all attorneys. For his upcoming ad campaign, Charles was looking for a new photo that exemplified his prowess in the courtroom. His office is located in a very notable office building on the north loop, so we opted to shoot outdoors in front of the building. This gave us a great “power pose” photo in front of the instantly recognizable building where he serves his clients. 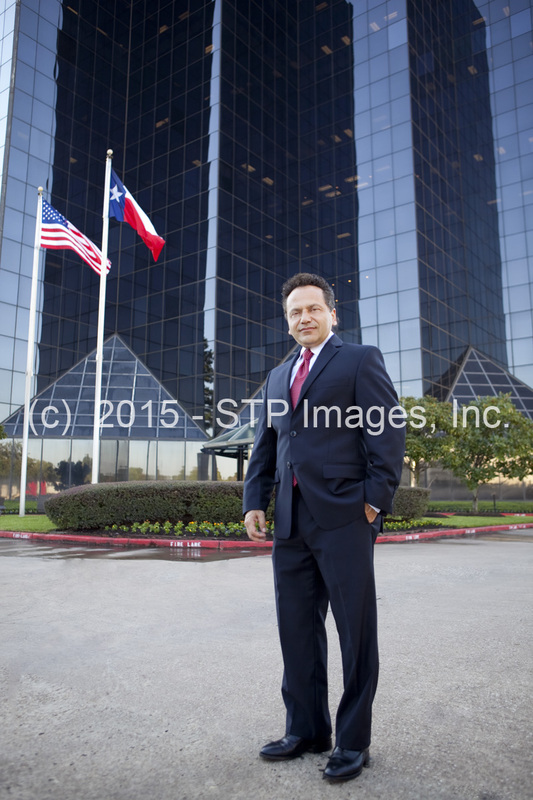 The resulting images we captured will be used by Charles for advertising, on his website and through legal referral networks that will allow more people to find him as a leading attorney in Texas. Take a look at one of the final images below. Give STP Images Photography Studio a call or shoot us an email and let us help you define yourself to YOUR clients though photography. Our calendar fills quickly, so call today before we run out of days in 2015!